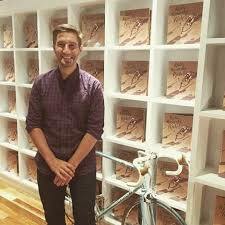 Anzac Stories: Behind the Pages Exhibition: Anzac Biscuits; Ride, Riccardo, Ride! Phil Cummings taught in the Northern suburbs of Adelaide for over twenty years and has written over sixty books for children in a career that has spanned more than twenty five years. He is an ambassador for the Premier’s Reading Challenge in South Australia, the Dad’s Read campaign with the Public Libraries Board of S.A, The Little Big Book Club, Raising Literacy Australia. 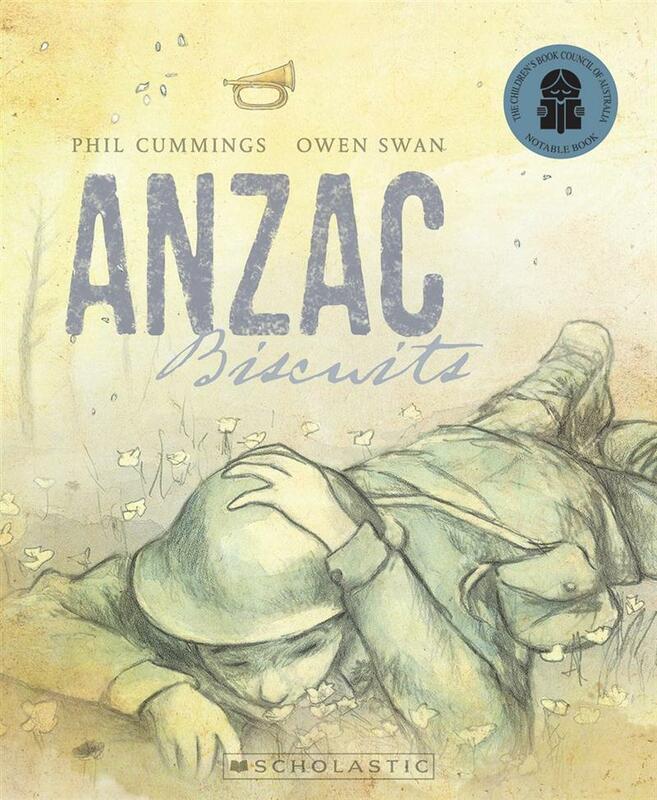 Phil’s latest titles include ANZAC Biscuits illustrated by Owen Swan (Scholastic 2013). Bridie’s Boots Illustrated by Sara Acton (Working Title Press 2014). Newspaper Hats illustrated by Owen Swan (Scholastic 2015) and Be Brave, Pink Piglet, illustrated by Sarah Davis (Hachette 2015). Phil’s latest book, Echidna Jim went for a Swim illustrated by Laura Wood (Scholastic Press) was released in February. Phil’s books ANZAC Biscuits, Boom Bah! and Night Watch were presented to the Duke and Duchess of Cambridge as a gift to their son Prince George to commemorate their visit to Australia in 2014. 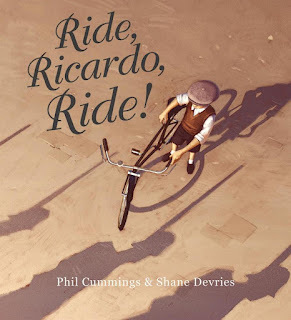 Phil’s book Ride, Ricardo Ride! illustrated by Shane Devries, (Omnibus Scholastic 2015) was an Honour Book in the 2016 Children’s Book Council of Australia Picture Book of The Year Awards. 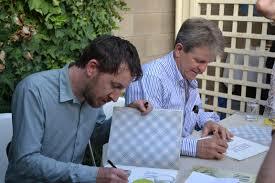 Owen Swann was born in Sydney in 1975 and spent most of his childhood in NSW. As well as illustrating he plays the banjo and travels the world. He has also illustrated Out by Angela George, The Red Feather by Ben Kitchin, Newspaper Hats also by Phil Cummings, Lilli-Pillie: the Frog Princess by Vashti Farrer, and Hide and Seek by Irini Savvides. Shane Devries is a freelance digital artist and illustrator from Adelaide. Before that he was an illustrator and storyboard designer for Showpony Advertising. He exhibits his work regularly doing many solo art shows around Australia since 2008, including the Monster Kid Exhibition at Gallery 139. His other illustrated books include The Lion Sleeps Tonight, Never Smile at a Crocodile, Love is in the Air, Wang Wang and Funi, and I Only Like Toast. ANZAC Biscuits is set during WWI and tells the story of a young girl, Rachel, and her mother as they bake ANZAC biscuits to send to Rachel’s father who is away fighting the war. As Rachel happily helps her mother in the kitchen, dropping oats like snowflakes, rolling and patting the biscuits, the reader is, through the turning of every page, taken from the safe, warm kitchen to the soldier and what he must endure in the battlefield. The two narratives, that of the home front and the soldier, sit side by side to offer a glimpse of what it would have been like back then for those fighting and those that were left behind. Ride, Ricardo, Ride tells the story a boy living in a small mountain village in Europe during the Second World War. The book begins with Ricardo riding his treasured bike under open skies, quiet and clear. He leads a happy life full of joy and laughter until one day, the shadows appear. His world is turned upside down as the friendly village becomes the centre of conflict. The windows are closed and the sounds of war intrude as the shadows march through the once quiet streets. Worried that his bike might be taken, Ricardo and his father take the bike apart and hide it. The shadows remain a constant threat and one day Ricardo’s father is lost to the shadows and never returns. As time passes the shadows fade and village life as it once was, returns. The war is over. There is singing and laughter. Ricardo’s father, like so many, is gone but not forgotten. And so Ricardo retrieves the pieces of his bike and puts it back together just as his father would have done. He has grown and the memory of his father's words ring in his ears as he once again rides his bike under open skies, quiet and clear.